Published back in 1986 and 87, Watchmen is a series of comic books collected into one graphic novel. It was written by Alan Moore and drawn by Dave Gibbons. Watchmen is one of the most popular compiled graphic novels of all time and even sits on Time magazine’s list of 100 best novels list. While it was published by DC Comics but does not take place in any other DC continuity. Watchmen imagines an alternate past, where superheroes have been among us for a long time. They help the United States to win the Vietnam War and become national heroes for it. The main storyline takes place in the 80s, still under the presidency of Richard Nixon. Immediately following the Vietnam War, heroes were celebrated but they’ve since been banned from existence. For a majority of the story, we follow a vigilante named Rorschach who operates outside the law and continues to fight crime. He’s investigating the murder of a hero called The Comedian. 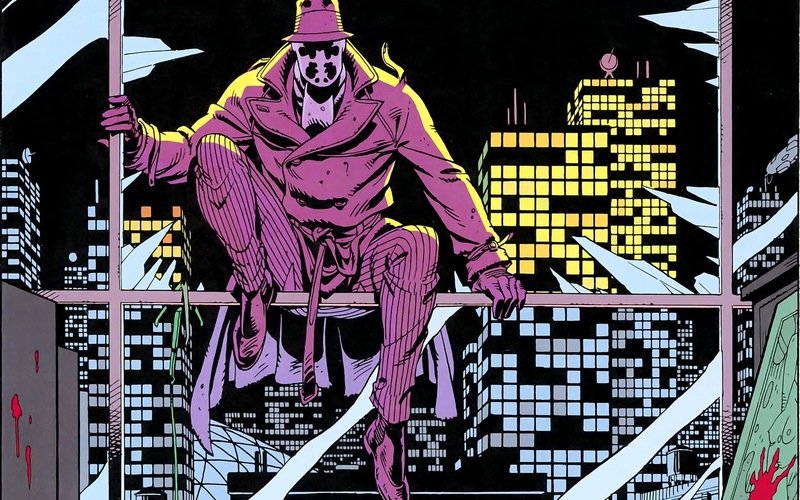 While he was unlikeable, Rorshach is still confused as to why and how someone could take the Comedian out, so our story follows this mystery as it unravels. We also meet a hero named Dr. Manhattan. He was a scientist who was caught inside of a scientific experiment and basically became a being of pure energy, with complete control over all atomic beings. He could disintegrate people in an instant, teleport to anywhere he wanted, and even saw all things happening at once, instead of a linear timeline. In terms of plot, Dr. Manhattan was the tipping point in the Cold War, as the USSR was unsure that America wouldn’t use this being to destroy them. 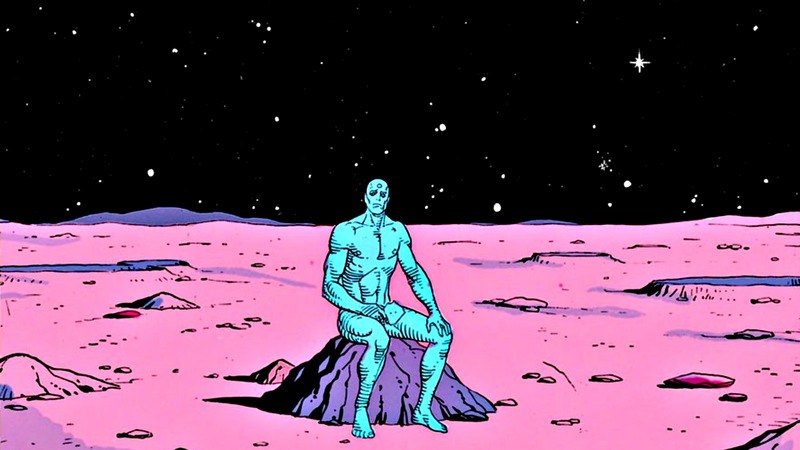 At the beginning of the story, Dr. Manhattan is in a relationship with a human woman and former hero herself, but they slowly drift apart, as Manhattan becomes less and less tied to the human world. This becomes even moreso when he is accused of causing cancer in people near him, which triggers his exile to Mars, where he can be alone. There are other characters involved here, but the most important in the end is a character Ozymandias. We are going to dive into the ending of Watchmen, so if you think this sounds interesting, stop reading now and go watch it. Anyways. Ozymandias is another former hero, who uses wealth and power to fight crime. It’s said he is the smartest man on the planet. It’s because of this intelligence that Ozymandias does something to help the world but, in turn, kills many people. What he does is different in the novel and the movie, so we’ll tackle the novel first. 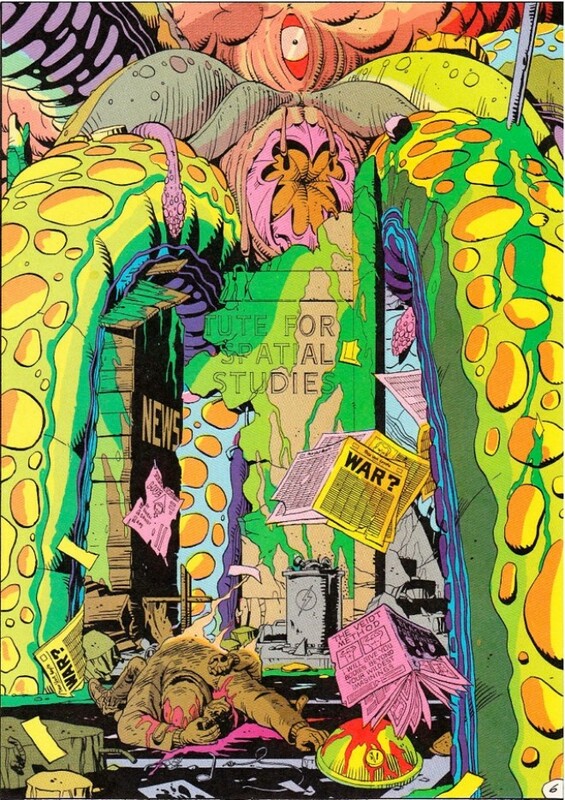 In the novel, he creates an alien-like monster, resembling an octopus/squid like creature, and unleashes it upon New York. It eventually dies, so it doesn’t cause too much destruction, but enough so that warring nations would come together instead of fighting. They now have a mutual enemy. Rorschach wants to expose this truth, which would undo this truce and in fact make all those deaths mean nothing. Dr. Manhattan kills him, realizing that this foul deed is in fact best for the world. In the film, the ending is drastically different but I think also quite appropriate. Instead of a giant monster, Ozymandias makes Dr. Manhattan himself the enemy and makes these mass deaths look like they were caused by him. This also unifies the countries against Dr. Manhattan, just for a different reason. Some graphic novel purists were pretty upset by the movie’s divergence at the finale, though some also prefer this ending. The movie in general was well-received for its visuals, but often criticized for its pacing and lacking some of the depth of the graphic novel. One of the most prominent cultural icons from Watchmen is the smiley-face with blood on it, which is first seen at the death of the character The Comedian. This face features prominently on the cover of Watchmen as well as several other times throughout the book. 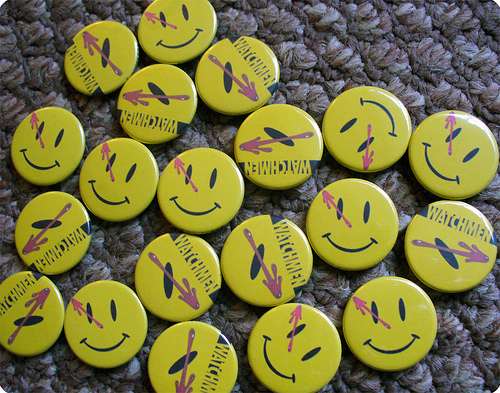 Replica pins of this smiley face can be bought at many entertainment and pop culture shops. And while it’s commonplace to see comic books and superhero movies these days, it’s important to remember that these books were published in a time when comics weren’t fairly mainstream and the idea of a dark and gritty superhero story was fairly uncommon. This book served almost as a parody to the light-hearted golden age of comics from the 70s. To capitalize on the movie and popularity of the title in general, DC Comics released a prequel series of comics called Before Watchmen, which was published without the consent of either the writer or artist. Alan Moore, the writer, even called the project completely shameless and that they must not have any other choices left. So that’s it! That’s the basic gist of Watchmen, some of they key players, some of the differences between the movie and graphic novel, and some of the pop culture icons you might see that relate to it. This entry was posted in What Is and tagged adam ryen daniels, alan moore, dr manhattan, i am your target demographic, iaytd, ozymandias, rorschach, watchmen, what is watchmen. Bookmark the permalink.